Welcome to The Law Office of Joseph R. Kreush, LLC. Our firm is a general practice with a focus in Family Law related matters. We welcome all clients for cases in Harford, Cecil and Baltimore Counties. Our firms prides itself in its effective and cost saving representation of our clients. The Law Office of Joseph R Kreush, based in Havre de Grace, MD, can provide you with the representation of a local lawyer. We're active in our community, and we're a member of the Havre De Grace Chamber of Commerce. We're also a member of the MD State Bar Association and the Harford County Bar Association, and these professional networks help us stay updated on news in the field of law. 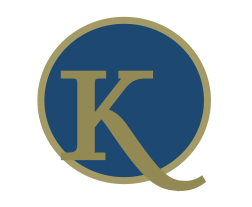 Contact us at The Law Office of Joseph R Kreush if you need a lawyer based in Havre de Grace. We'd be happy to discuss any questions you have, and we can easily make an appointment to discuss your situation in further detail. We're available every day by appointment because it's important to us to be there for our clients whenever they need us. © The Law Office of Joseph R Kreush LLC. All rights reserved.